Meteorologist Gary England says in the springtime, the jet stream drops down from the north into Oklahoma. During the summer, the jet stream moves elsewhere, but it returns to Oklahoma in the fall months. 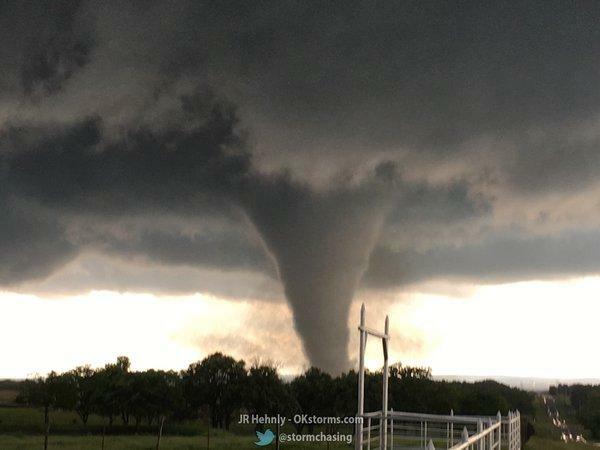 “It comes back and passes over Oklahoma. 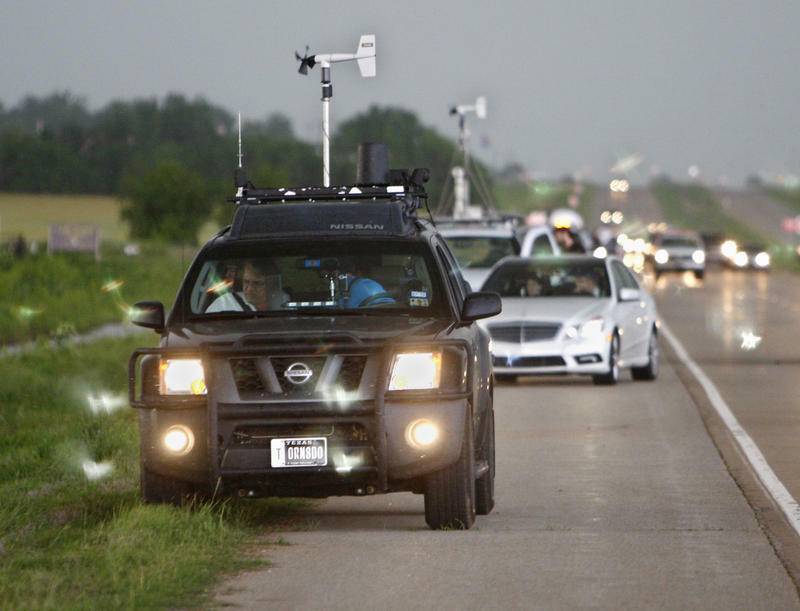 Jet stream is key to having severe storms and tornadoes,” England told KGOU. The past few autumns have been pretty quiet. There were no autumn tornadoes last year. In 2015, there were nine tornadoes that all occurred in November. One of the most active autumns for severe weather was 1998. “We didn't expect that much, really. And then the storms went up and some EF3s out near Cordell. Great video and, fortunately, I don't believe anyone was injured that day. But they … fired up in the air right after afternoon. And they went all evening into the night. They have video of the tornado going through Moore,” England said. England says autumn tornadoes usually aren’t as severe as those in the spring because the jet stream isn’t as strong. In addition to occasional tornadoes, flooding can pose a threat in the autumn. The greatest amount of official rainfall ever recorded during a 24-hour period in Oklahoma occurred in Enid on October 11, 1973, when 15.68 inches fell, according to the National Centers for Environmental Information. “The front was a weak front [and it] wasn't moving. The storms weren't moving. So that can be a problem. You can get huge hailstorms, too,” England said. Jacob McCleland: Gary England, thank you so much for joining us. Gary England: Right on baby. 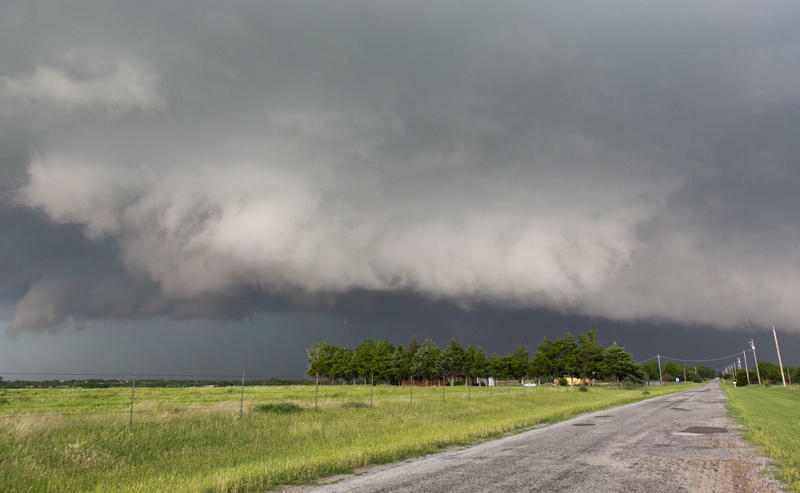 McCleland: So spring is typically the stormiest season, obviously, in Oklahoma, but we're actually coming up on the state's secondary storm season. That's autumn. Why is fall also a period of increased hazardous weather here? What is it about the conditions for fall that make it prone to having some major storms? England: Well, in the spring, jet stream drops down from the north, you know, iu the hot time it's up to the north. Get into the spring, it comes down and it comes down in the Oklahoma area, this whole area. And then in the fall, same thing happens. The jet stream is somewhere else. It comes back and passes over Oklahoma. Jet stream is key to having severe storms and tornadoes. It has to do with the upper airflow again. McCleland: So, you know, the last four or five years, we haven't seen a whole lot of active autumns. There haven't been a lot of tornadoes the last few years. When is the last time that you recall us having a bunch of severe storms in the fall? England: Well, as I recall, it was 1998 and October. And we looked at that and [thought], "You know, maybe it could be some thunderstorms, a little jet stream in the area. And it's got some moisture and it's kind of hot out there and it turned out, you know, because we didn't expect that much really. And then the storms went up and some EF3s out near Cordell. Great video and fortunately I don't believe anyone was injured that day. But they were they were fired up right after the afternoon. And they went all evening into the night. They have video of atornado going through Moore from the south, which is normal, south to north, at about 10 o'clock at night. So it was, it was quite a deal. McCleland: Yeah, I believe there were 27 tornadoes in October of 1998, the most that there's ever been during October in Oklahoma. I mean, are there any are there any particular characteristics about autumn tornadoes that are different than than spring tornadoes? England: Well usually. It's a broad term. Usually they don't last quite as long and usually, since the time frame is kind of squeezed, you may not get the really huge one, but you still can. In '98 we had that EF3 and several EF2s. But the different thing is, I said, they don't last as long and usually not quite as strong, because the jet stream is stronger in the spring compared to the fall. McCleland: Besides tornadoes, are there other types of severe weather that could become more commonplace in the fall, when we have this bump in storms? England: Sometimes I've seen it. Of course, you can flood any time. But sometimes I've seen fall situations where a front is kind of drifted down across the state. Moisture comes up, everything's kind of stable, not moving, and you get some horrendous rainfalls. Enid, X number of years ago. And nothing was moving. The front was a weak front, wasn't moving. The storms weren't moving. So that can be a problem. You can get huge hailstorms too. McCleland: You know, in the spring time people are pretty aware of tornadoes. They're more weather-aware during that time. But in the fall, are people maybe not as aware about tornadoes, and is that maybe an additional risk when it's a time that people aren't quite tuned in as often as they as they would be? England: I think they're less, they're less weather-aware during that time frame. So that's a problem. McCleland: So Gary, what's your forecast for the autumn? Do you expect that will have an active weather season this September, October? England: And September, late September or October, should pick up some thunderstorm activity so it might be quite active. McCleland: We've been talking today with meteorologist Gary England. Gary, thank you so much. It's been a pleasure.